When you need a reliable Injury Attorney, call Robert Gluck from the Law Offices of Robert E. Gluck, P.A. 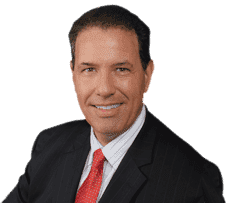 He has been practicing law since 1989 and is completely dedicated to making sure his clients get the financial compensation they deserve. Whether you've been injured in a car accident, slip and fall accident, or any other kind of accident, he will be able to help you. It's important to hire Injury Attorney Robert Gluck as soon as your accident occurs. He will be able to launch a thorough and complete investigation into the accident to determine if negligence existed. Negligence is the legal standard one must follow to avoid injury to others. If negligence existed at the time of your accident, he will be able to move forward with your case. As part of the investigation, your Injury Attorney will locate and speak with witnesses to get their statement, take photographs of the accident scene, find and secure video surveillance, assess any property damage, and obtain any other evidence that is necessary to build a strong case for you. He will make sure the evidence he finds is solid and proves someone else was at fault. Your Injury Attorney will fight hard for you and be the legal voice you need during this difficult time. At the Law Offices of Robert E. Gluck, P.A., we care about our clients and will go above and beyond for them. When you hire us, we will work to get you the compensation we believe is fair for the injuries you've sustained so you can start to heal and move forward with your life.